Utah has a new strategy to save money on health care for its public employees: pay them to go to Mexico, where the expensive drugs they need are significantly cheaper, and even offer a payout for some patients. Utah’s Public Employee Health Program (PEHP) started giving its members cash incentives to encourage them to travel to Tijuana for drugs to treat ailments like osteoporosis, prostate cancer and multiple sclerosis, reported The Salt Lake Tribune. It’s a new step in PEHP’s implementation of “pharmacy tourism” since the program has covered out-of-country procedures before, according to The Tribune. PEHP provides health care to 160,000 public employees and their family members. Now employees who qualify can get shuttled to Mexico by the state thanks to Utah state legislation calling for the public employee insurance program to offer “savings rewards,” or cash payouts, to patients who use the cheapest provider, reported KSL News Radio. Certain individuals who take PEHP up on its offer receive a $500 payout and are transported via plane and bus to Tijuana, where they can buy up to 90-day supplies of 13 different drugs like Enbrel and Humira, reported The Tribune. Transporting the patients costs Utah about $300. “That money is pretty small in comparison to the difference between U.S. prices and Mexico prices,” Travis Tolley, PEHP’s clinical operations director, said, according to The Tribune. PEHP members can purchase a 28-day supply of multiple scleroris drug Avonex for roughly $2,200 in Tijuana, compared to roughly $6,700 in the U.S., according to The Tribune. PEHP tries to ensure the quality of the drugs by contracting with a single pharmacy in Tijuana. PEHP members can potentially bank up to $3,900 a year for traveling to Tijuana rather than getting their drugs within the U.S., according to The Tribune. 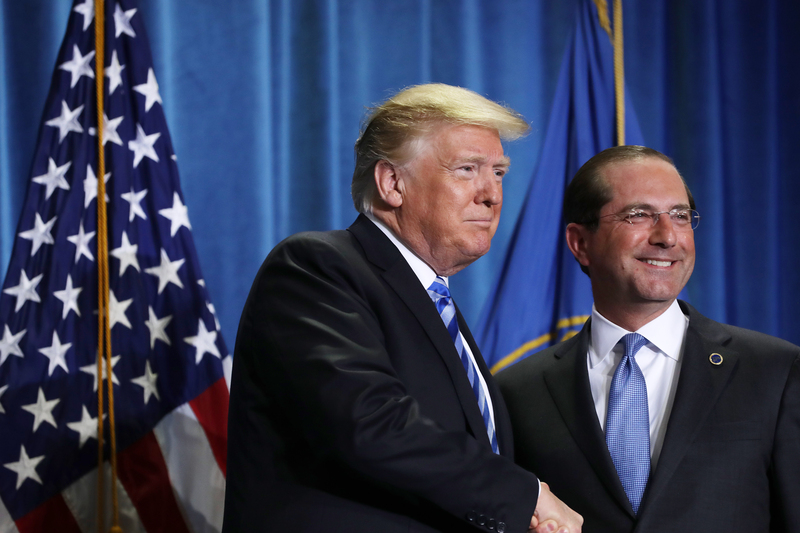 News of Utah’s decision to push buying drugs from other countries to save money comes after President Donald Trump said Thursday that his administration wants to stop “global freeloading” in the drug market by setting U.S. drug prices closer to international prices. “We’re taking aim at the global freeloading that forces American consumers to subsidize lower prices in foreign countries through higher prices in our country,” Trump said while unveiling the plan.